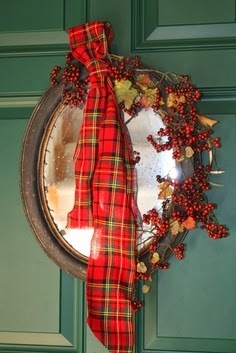 Tartan and Christmas Plaids are one of my decorating "go-tos" for the Holiday Season...always have been. 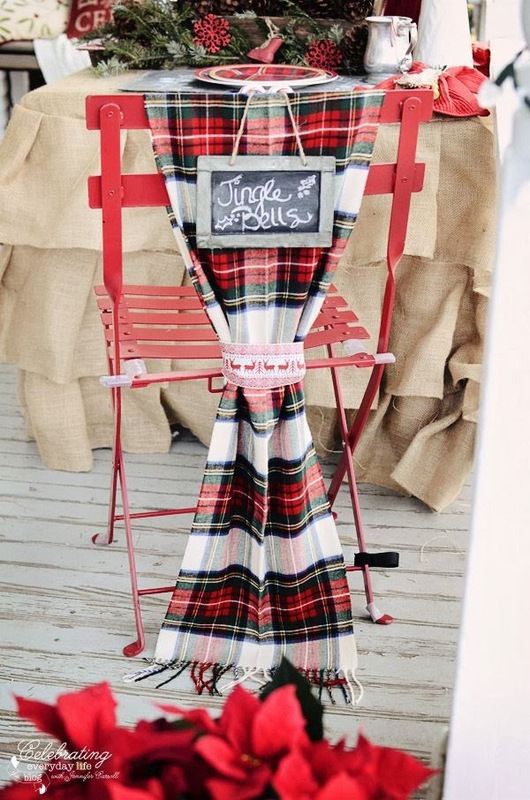 It's pretty easy to add some plaid for some instant Christmas Cheer. 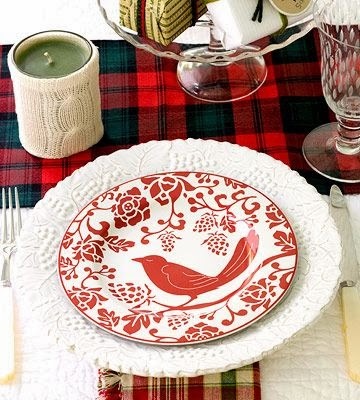 The red's, greens, and whites, are iconic additions to any style decor; from traditional, to modern, to country. 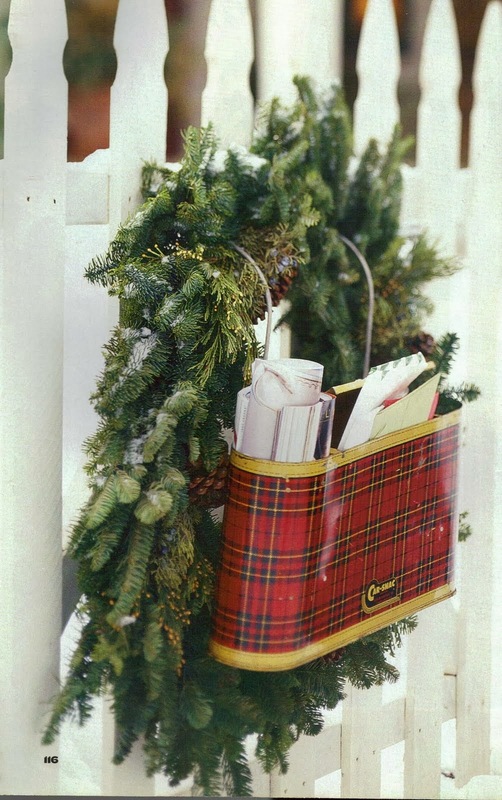 Each year I try to incorporate a little plaid into my decorating scheme. 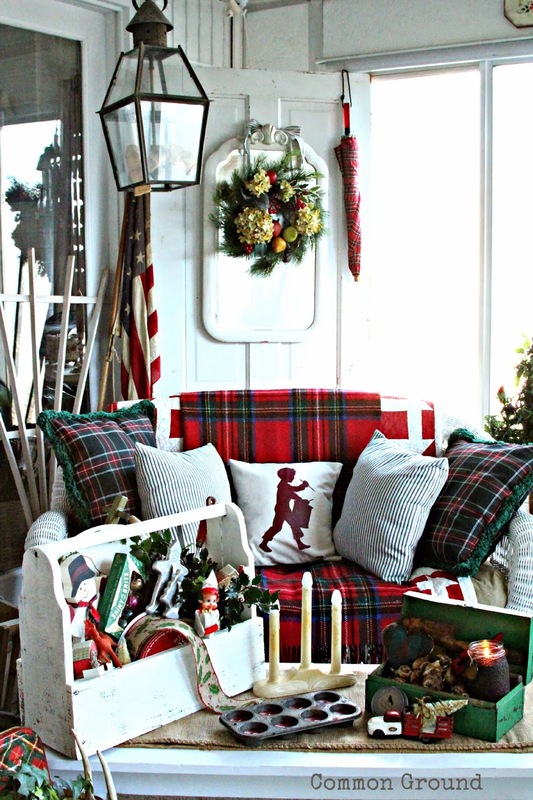 Even an all white space can be given some Christmas flair with a little plaid on top! White lanterns with some greenery and a sassy red ribbon. brings them on his truck this week! please wait to pin them by going to that site. 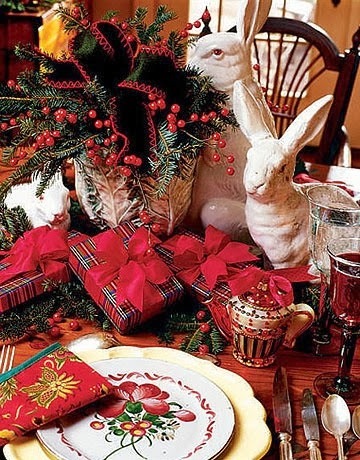 Here are some great ideas for your Christmas Table. Mixing plaids even adds to the fun. Let it greet your guests in the Entry. 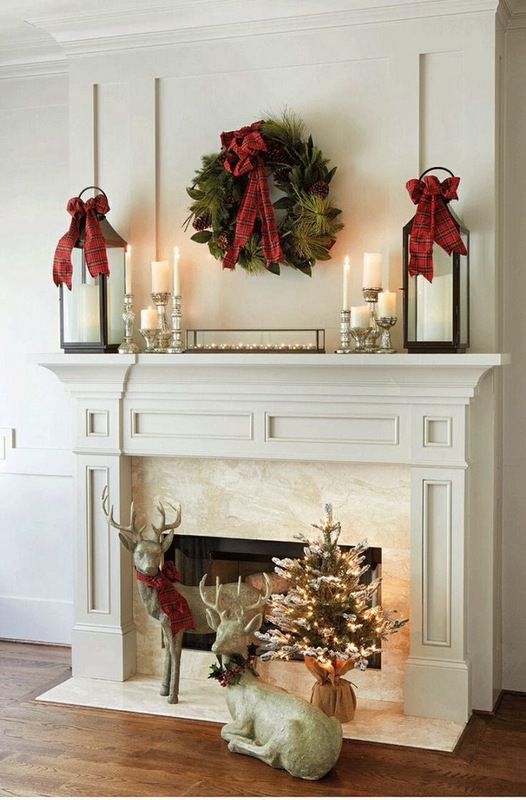 Dress up a mantel with just a few bows. 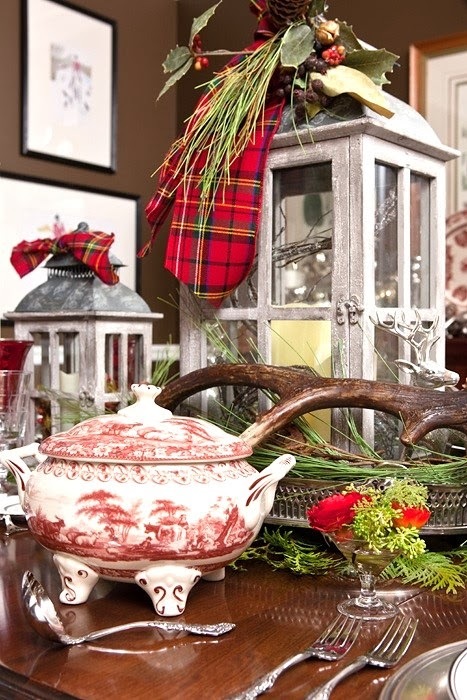 Take a ribbon and run it through your vignette or tablescape. 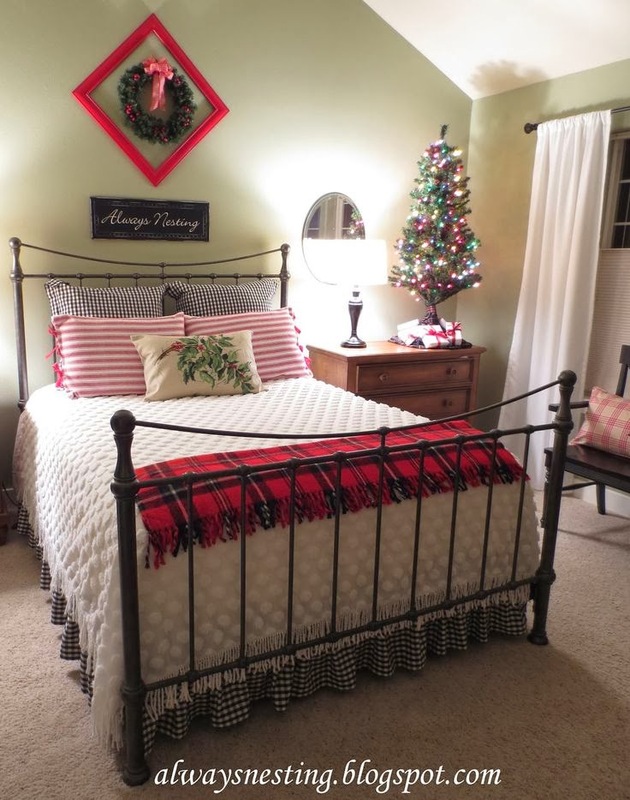 Drape a wool plaid blanket on the bed or sofa for instant "Christmas"! Here are a few pics from my sunporch last year. are perfect for setting the mood with flowers and greenery. Celebrating Everyday Life and Savvy City Farmer. Please go to Pinterest and Pin these images from their source. just wanted to share them with all of you. Hope you're having a wonderful Thanksgiving Weekend! What a fun and pretty post!! Love those plaid books. Your home is always beautiful each and every season. I am definitely mad for plaid this time of year. I love these photos. I can't get enough of plaid and I love seeing others who share the passion! So pretty Debra… love the plaid touches. Enjoy your weekend! 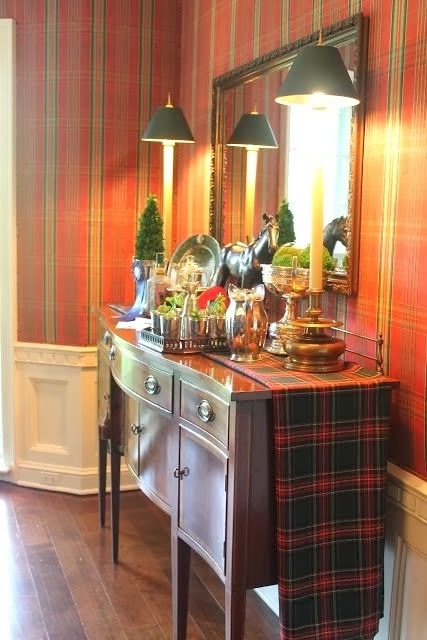 Lové plaids, such a perfect mix from one look to another from French to country cottage. Beautiful post Debra, now I am off to start decorating a bit. Be still my red loving heart! I don't think I'd change a thing on your sunporch this year, Debra. All that vintage green and red.....so festive! I've got Christmas stuff strewn everywhere right now. Where to start........sigh. There is just something about plaid that is comfortable, and happy and cozy. 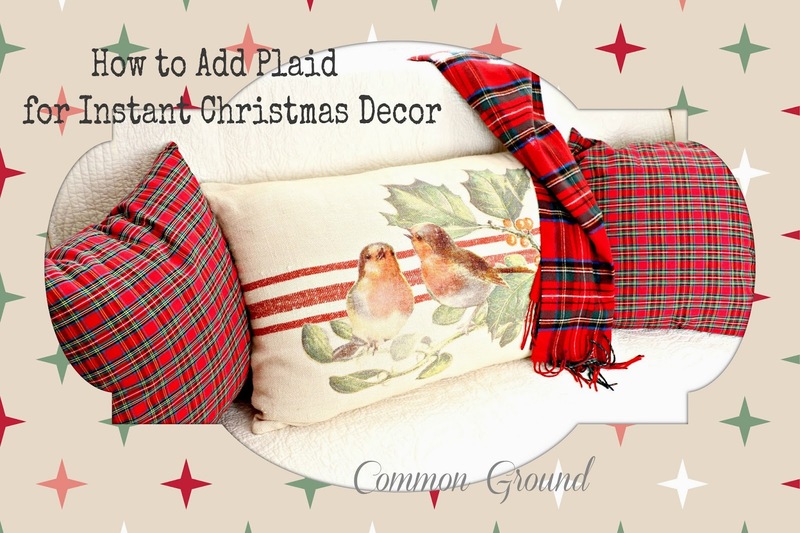 Your little bird pillow in the center of the plaid pillows is adorable!... 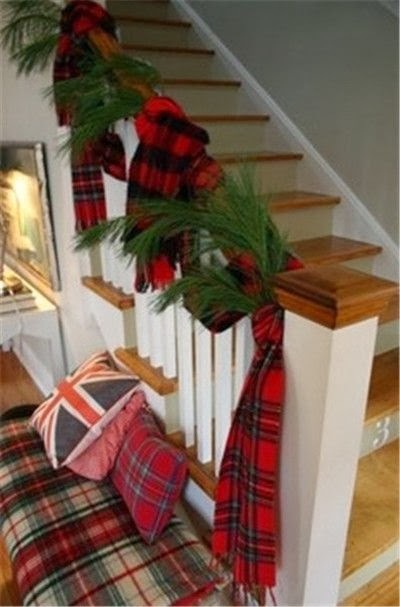 and won't white lanterns with a red plaid bow be sooo cute and Christmasy! 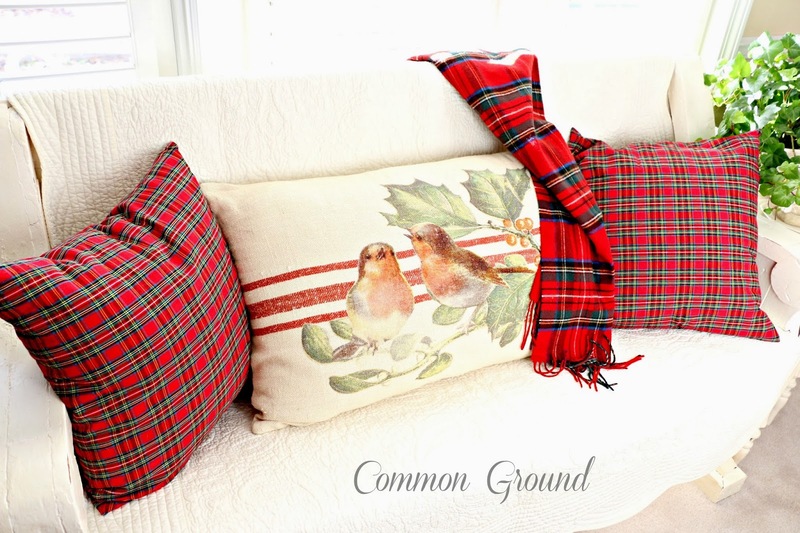 Love your plaid pillows with the pretty birdie one in the middle!! Thanks for all the fabulous inspiration, Debra. I love plaid ever so much, I got it from my Mom. Looking through my.holiday stash right now. Thanks for the inspiration. I love your plaids, Debra! They are so pretty! love love love!!! Beautiful photos! 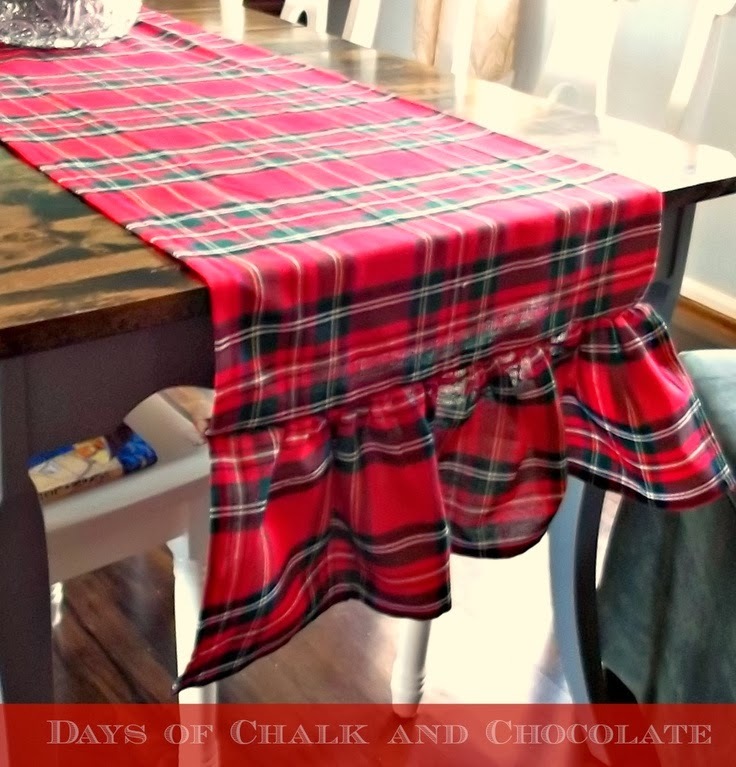 Love the plaid in your Dining Room and the pillow is charming!!! Thank you for inspiring us with all the plaid photos. So pretty and so much inspiration, Debra! Thanks for sharing. I adore plaids and tartans. 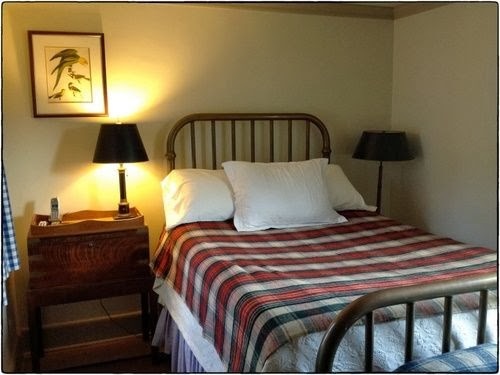 Just something so cosy and homey about it. This may just be the year I go for plaid!! I saw the feature of Alison from Polo House in Midwest Living...did you see that? She does such a wonderful job with plaids and tartans. 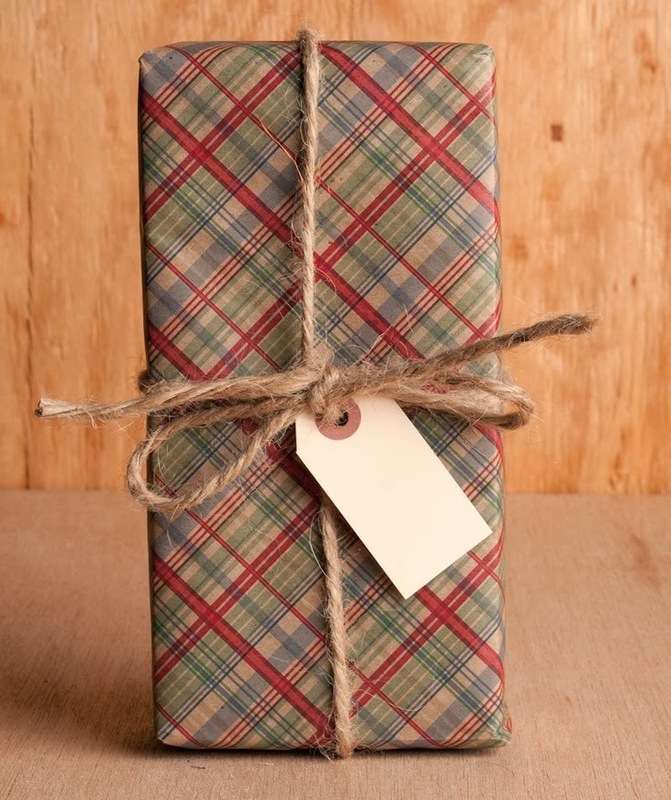 Today I got a few rolls of 175 feet rolls of plaid wrapping paper at Walgreens for $5.99!! Yes!! 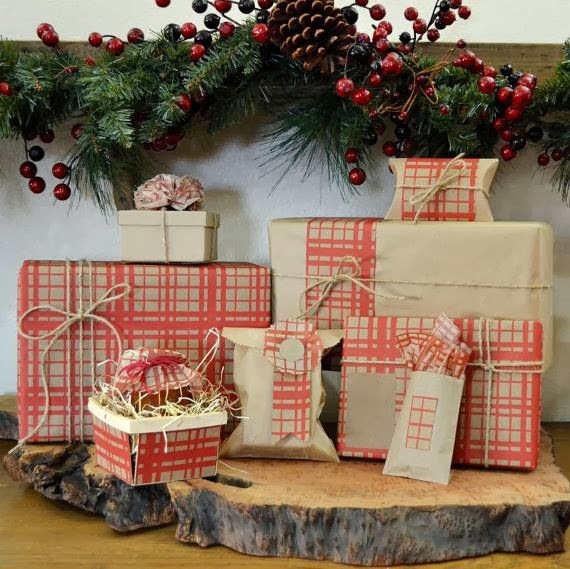 I have very pastel colors in my home so plaid has never worked much, but for gifts? Anything goes!! I'm always mad for plaid!!! 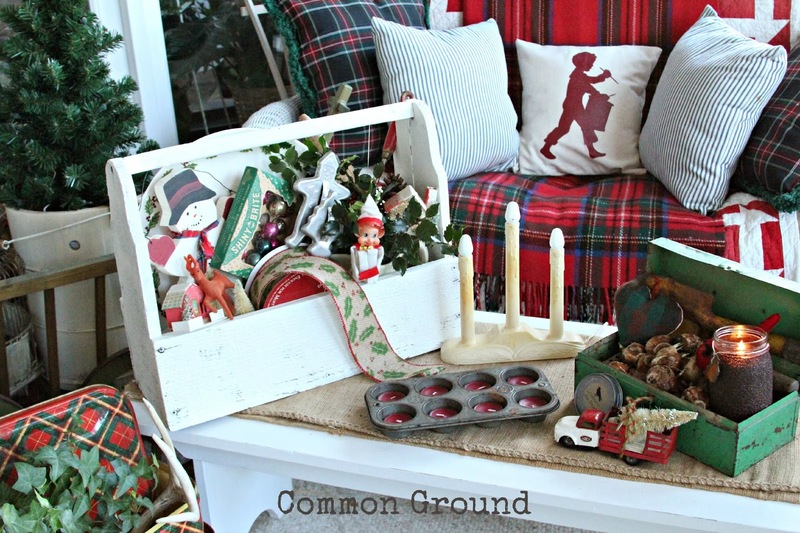 Love your sun porch all decked out and the bird pillow.....!!! So much prettiness here on your blog today. I'm loving all this red plaid and might just be adding some myself! Hi.....tartan is lovely....a nice day.....kiss! What great inspiration! I really love the pics of your sunporch last year-gorgeous! 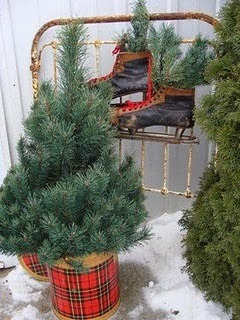 Love the plaid:) Christmasy! Have a blessed Sunday dear Debra, HUGS! 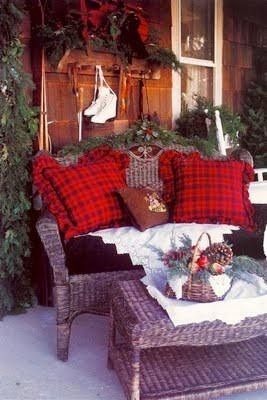 You are right the plaid just sets the mood that says Winter and Christmas! Debra, Love all the plaid. It's definitely a classic look! Love all the inspiration!! I love this look at the holidays Debra! 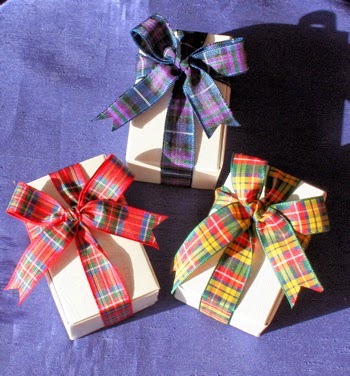 We get in lots of plaids in at the shop at the holidays, blankets and tins, and they fly out the door! Wow Wow Wow Debra. 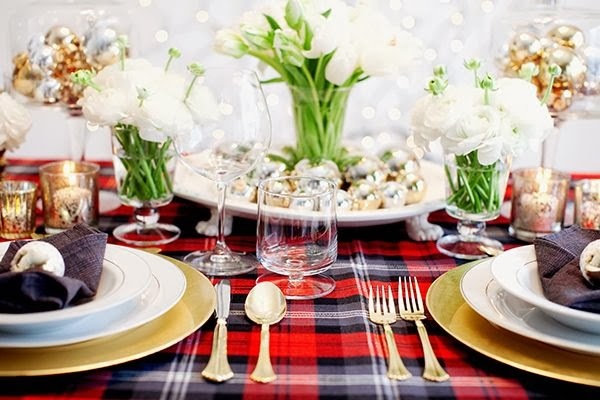 I am loving all the plaid ha ha this coming from the white decor chic!!!!! Everything looks so inviting and comfy and yells Christmas. Love it all. I went through the pictures a few times. Just love it. pillows gave me an idea. SOooOooOooo many yummy images, Debra! holiday cover on COUNTRY LIVING magazine -- right now. You have such a GIFT for staging! Love your layers. posted there.... too dang cute! gorgeous home as well as some of those from your Pinterest board. Your sunporch is like a canvas that you paint on each season. You are an ARTIST in plaid and other mediums. Oh my! You have found some gorgeous images! So cheery! Debra, I love your bird pillow mixed in with the plaids! 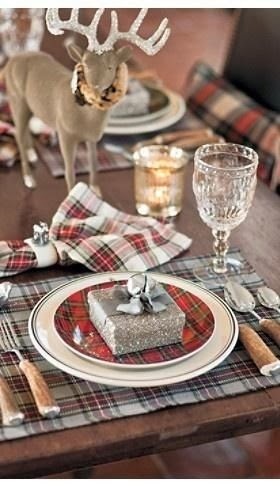 I love plaid at Christmas too. It's just so warm and cozy looking. Love the images! I have already pinned some of them, but will be visiting your board to pin more. Debra, you're making me think more and more about going with a red and green color scheme in my home. I also love the red plaids and realized while viewing your beautiful post how much plaid I have put away! That's got to change. Thanks for sharing your gorgeous porch...I'm a porch person, too! 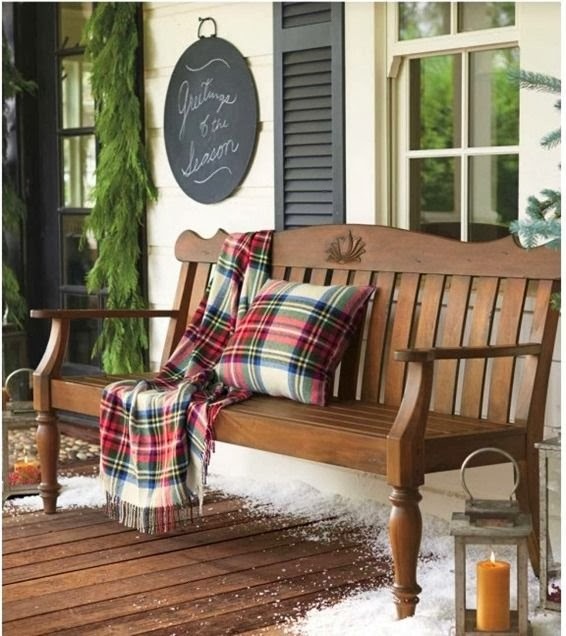 I love plaid accents in Fall and Winter! It just says "cozy and cheerful". 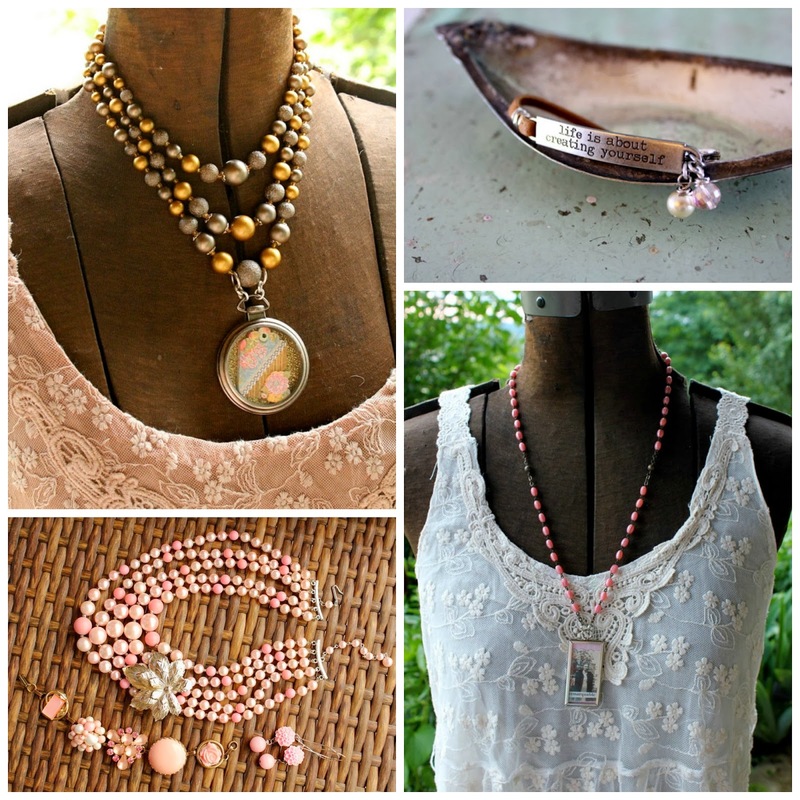 Thanks for all this gorgeous inspiration, Debra! 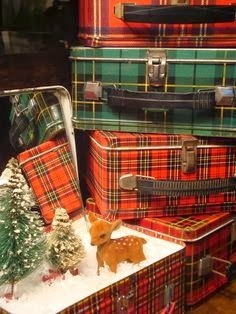 I think plaid is very festive and Christmasy! I'm scottish at heart! 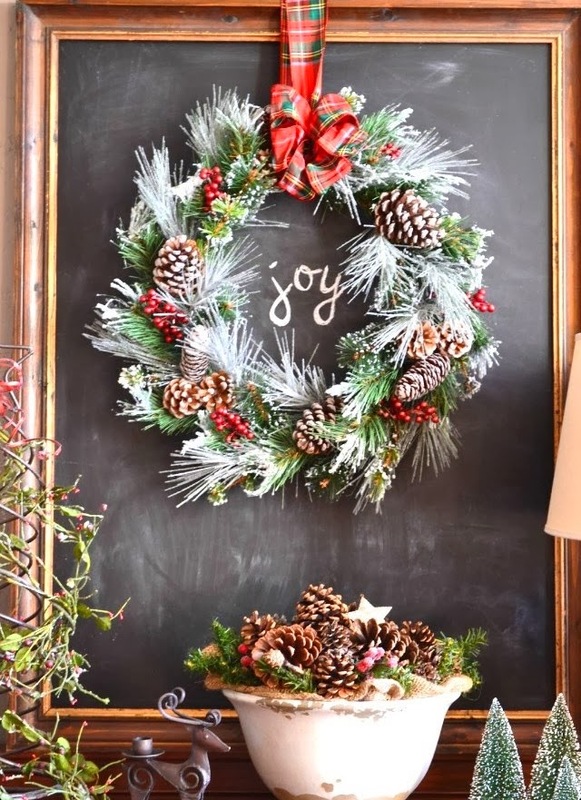 You decorate beautifully! 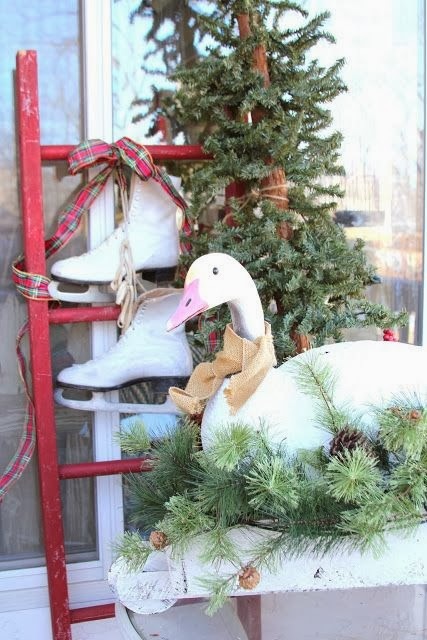 I so love plaid at Christmas and any time of year….love all the inspiration pics and your porch!! 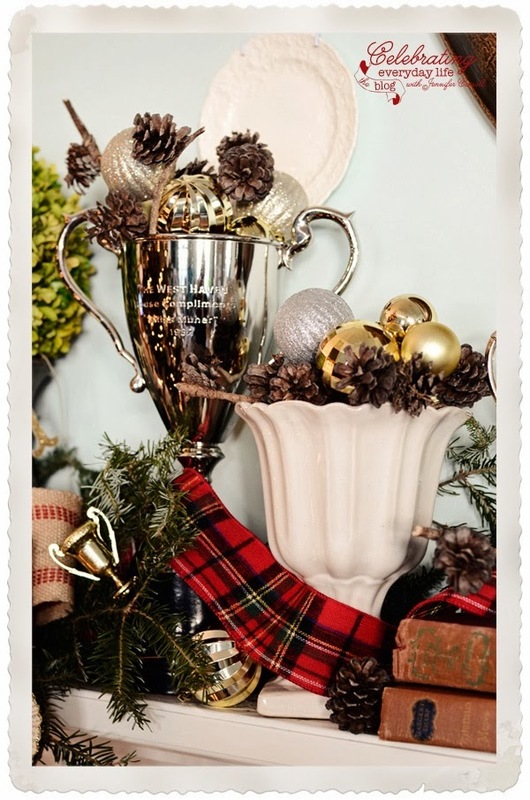 !…you have used the plaid so beautifully…and you certainly have inspired me as I decorate this week…. Plaid perfection! The plaid tin lunch boxes were my favorites. Thanks for all the inspiration photos. I love plaid anytime, anywhere. Thanks for the beautiful inspiration. I love plaid during the winter months. It looks right at home with all of the Christmas greenery too. You've shown some great ways to use it around the home. Two months ago, YES TWO...I picked up a plaid tablecloth at the mission store for a few dollars. Now, I can always use it as a tablecloth but back then I thought that maybe I'd split it up into pillow covers and a runner etc. And it is still sitting in the basement :) It's not really plaid...just checked. I had too many other sewing projects going on and decided to leave it be for now. But oh boy you sure have some lovely inspiration here! Wow, so much inspiration! 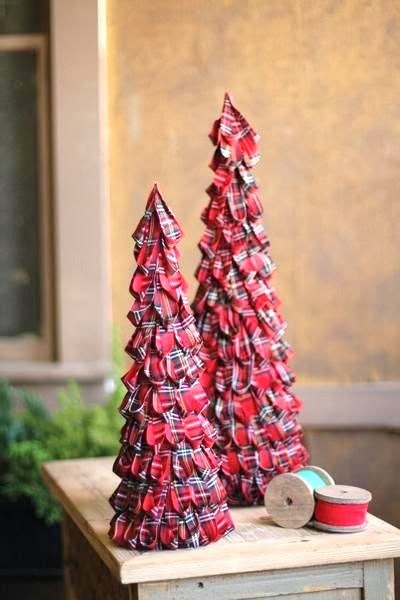 I do love plaid, so many great ideas for adding it for Christmas. Thanks so much for sharing at AMAZE ME MONDAY! Thank you for sharing all these wonderful plaid ideas at my party. 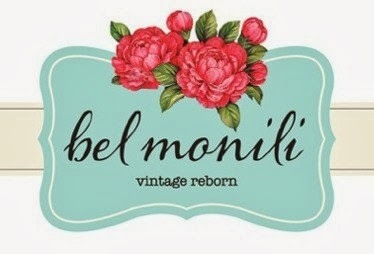 You will be featured at my party on Monday. 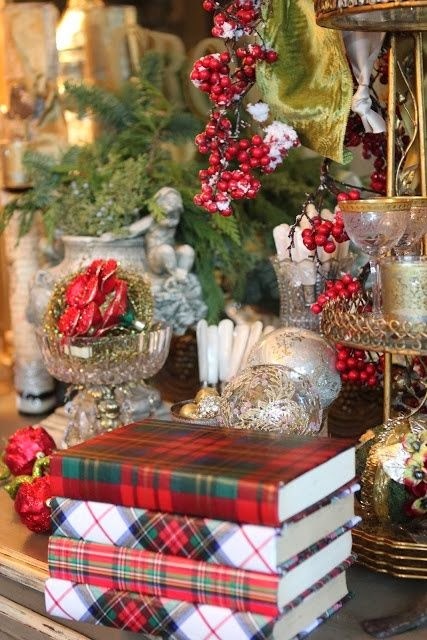 LOVING your Christmas plaid and tartan inspiration photos. Wonderful images, so many great ideals, I will have to incorporate some of them next year into my holiday decorating. Thanks for sharing. I love, love this amazing post! Every image is gorgeous and so warm and perfect for the C'mas spirit! 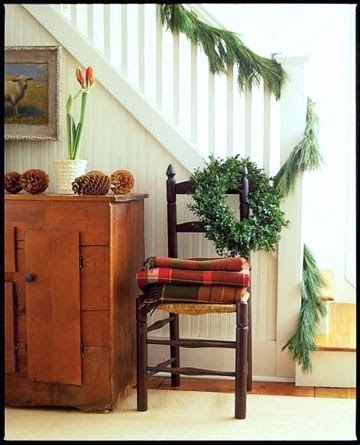 Your house looks amazing, I love every part of it with all the lovely and pretty plaids. Have a great week. So cozy and cozy. I love your home. Very tastefully done. Debra, I love all the plaid touches in your pretty home! Wow! 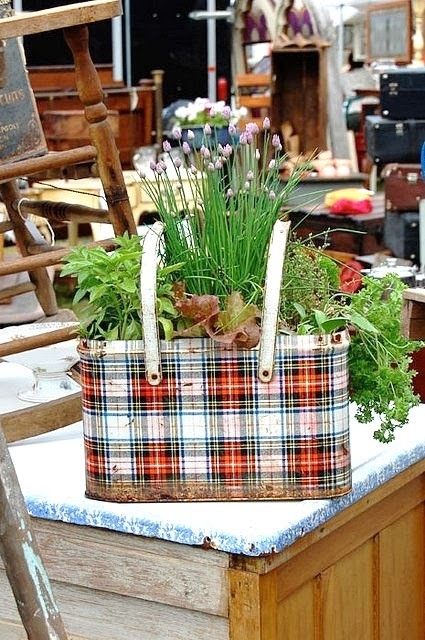 I've seen plaid lunchboxes before at thrift stores, and next time I see one, I'm buying it, by gosh.